CINCINNATI--(BUSINESS WIRE)-- Macy’s, Inc. (NYSE: M) today announced the appointment of David Abney, chairman and chief executive officer of United Parcel Service, Inc., to its board of directors, effective October 25, 2018. Abney has held the roles of chairman and chief executive officer of UPS, Inc. since 2016 and 2014, respectively. He previously served as chief operating officer since 2007, overseeing logistics, sustainability and engineering across the UPS transportation network. “David is a strong leader who understands what we need to win in this dynamic, competitive retail environment. We are excited to have him join our board and look forward to his contributions,” said Jeff Gennette, chairman and chief executive officer of Macy’s, Inc.
“David’s track record and expertise complement the skills and background of our current directors, and we know he will be a strong addition,” said Marna Whittington, Macy’s, Inc. lead independent director. “Macy’s, Inc., is a historic company and one of America’s most iconic brands. I look forward to serving on the board as the company navigates this exciting period of transition and growth,” added Abney. With the addition of Abney, the Macy’s, Inc. board of directors will comprise 11 members. Abney will serve on the Compensation and Management Development Committee. 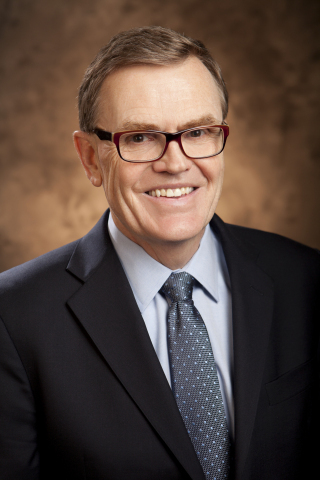 David Abney, 62 is currently chairman and chief executive officer of United Parcel Service, Inc., a multinational package delivery and supply chain management company, roles he has held since 2016 and 2014, respectively. Previously, he served as chief operating officer since 2007, with responsibility for logistics, sustainability and engineering across all facets of the UPS transportation network, which serves more than 220 countries and territories and includes a ground fleet of more than 96,000 vehicles and an air fleet of more than 500 aircrafts. Prior to serving as chief operating officer, Abney was president of UPS International. Earlier in his career, he served as President of SonicAir, a same-day delivery service. Abney serves on the board of Catalyst, an organization working to accelerate and advance women, including women of color, into senior leadership and board positions, and was elected as the 2019 Chairman of the Metro Atlanta Chamber of Commerce. He holds a bachelor's degree in business administration from Delta State University.